At BM Animals we pride ourselves on producing a wide range of extremely high quality all Australian dehydrated dog Treats and Chews. We know how hard it can be to know what the best product is to achieve the desired result for your dog. That's why we are always available to answer any questions you might have - yes a real person at the other end of the phone. Please if we're already assisting another customer make sure you leave a message and your contact details and we'll call you back. Our dehydrated treats are 100% natural with absolutely nothing added. That means no hidden chemicals or additives that can affect the health of your hound. They are great for use as training treats, "I love you" treats and perfect for snacks to keep your puppies happy between meals. We also specialize in the best chews to help promote great oral health in our "Teeth and Gums Range" We are concerned about the health of your fur babies so we work very hard to ensure that the treats you lovingly share with your puss or pooch not only taste great but as great nutritionally as well. For more information on any of the treats in our range, or for help with buying healthy dog treats online, please don’t hesitate to contact us. Did you know that we also manufacture BARF style fresh frozen meals which we will deliver to your home for a nominal fee AND you can include all thoes little extras as well. Find information about our delivery service for each of our outstanding products click here. 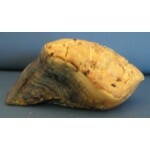 We developed our range of biscuit filled cow hooves as a long lasting chew treat for the most che.. 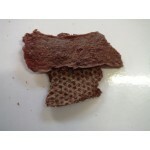 These pure protein wafers are just the treat for any dog that needs to avoid grain in it's diet. ..